yangcli-pro is a powerful network manager that is included in YumaPro SDK, our all-in-one NETCONF/YANG software design toolkit. With built-in automation yangcli-pro lets you test and manage NETCONF and RESTCONF servers using an interactive CLI, scripts and test-suites. It uses YANG modules directly to generate a user-friendly command line interface with context sensitive help and many other powerful features to simplify complex network management tasks. 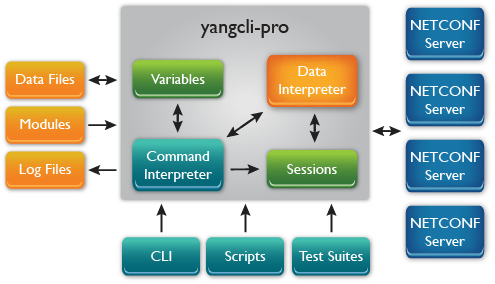 There are many new features in yangcli-pro. It is designed to work as a test tool to save you time during YANG module development or as an operator tool to simplify management of multiple NETCONF servers at once.